The season’s first major is finally here! Are you as excited as we are? In our excitement, we came up with a contest with some one-of-a-kind prizes that we want to tell you about. Before you enter the contest, let’s learn how to play. Playing the contest is as easy as 1-2-3. The field is broken up into 3 groups. 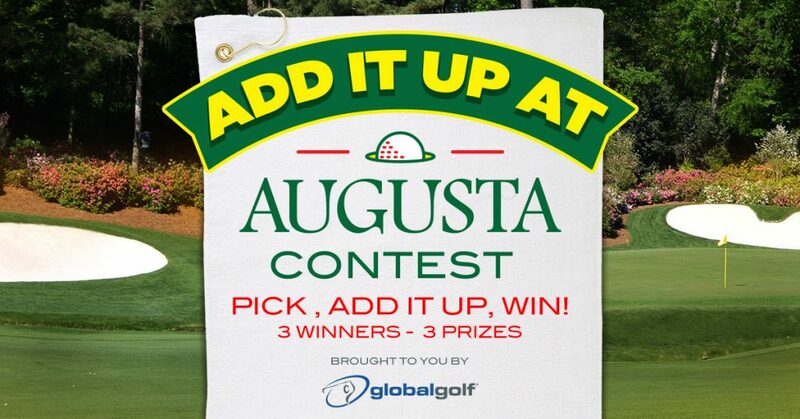 You’ll pick one golfer from each group, who you think will win the most prize money during the tournament. Winners will be determined by the total amount earned by their 3 golfers. As a tiebreaker, you’ll pick who the low amateur for the tournament will be, based on their score relative to par. In event there is still a tie, winners will be chosen at random from eligible entries. For the official rules, head HERE. Now, let’s talk about what you can win! 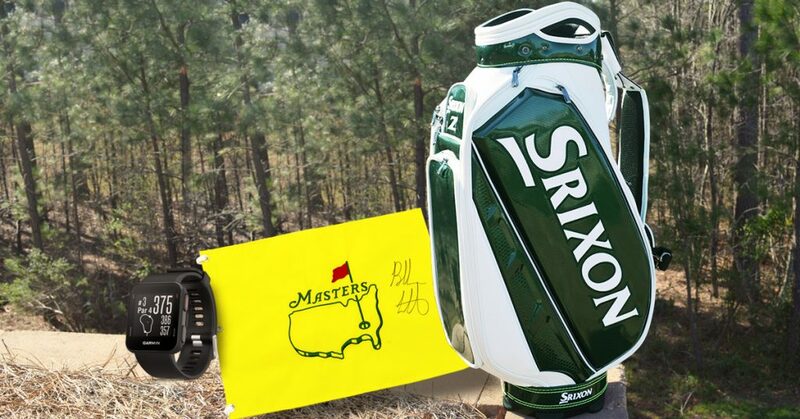 The grand prize is a Limited Edition Srixon Green and White staff bag. It is 1 of only 500 made! Our favorite part is the subtle, yet noticeable yellow stitching at the top and bottom of the bag. The second place prize is a yellow pin flag from the First Major, signed by 2-time winner Bubba Watson! A great addition to any memorabilia collection. Finally, the third place winner gets a Garmin S10 GPS watch. Get yardages to the front, middle, and back of any green on over 41,000 courses worldwide, plus other awesome features, with this bad boy. Now that you know how to play and what you’re playing for, it’s time to get entered. Head HERE to fill out your entry between 6:00 pm on April 5th and 11:59pm on April 10th. Good luck and be sure to share and compete with your friends!